Twisty beam focus is not really useful except to fine tune beam - no spot to flood. First real review for me, guys. I think I'm getting the hang of taking pictures and posting and I've finally figured out wall beam shots (to a point). I'll try to add some outdoor shots later. Be sure to ask questions and I'll update the review as needed. As mentioned in review, twist does not really focus the beam and outside, difference is almost undetectable. 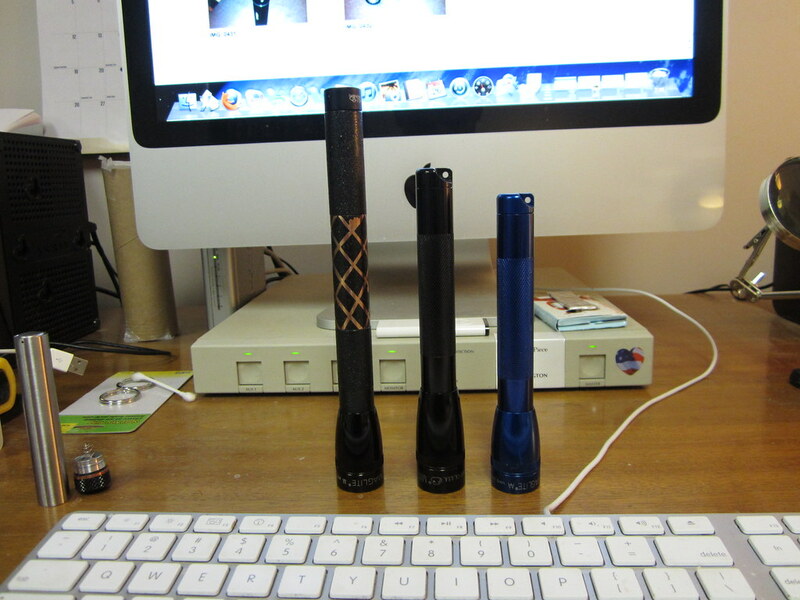 If you grew up in the U.S., chances are you've had a Maglite (or 3 or 4) during your lifetime. 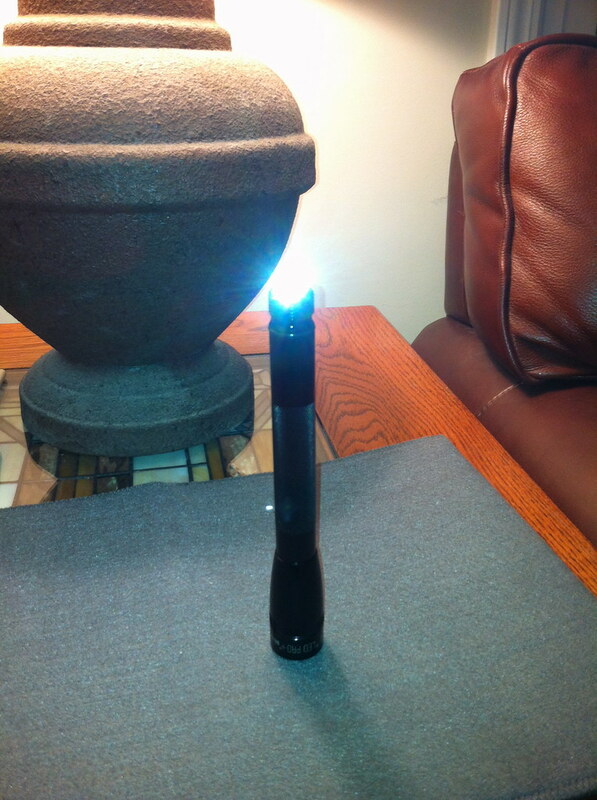 For many years, Maglite was the flashlight to have and I'm sure it is still the best selling brand out there. Unfortunately, like so many old established brands, they were slow to react to competition and changing times. Not anymore. With the Mini Maglite Pro and Pro+, Mag Instrument has finally introduced a flashlight that can respectably compete with others in the AA class. Let's hope this is a sign of times to come and that we'll see modern emitters in the C and D cell models. Who knows, they may eventually release the long announced tactical flashlight soon. At a retail price of around $29.99 for the Pro+ and $24.99 for the Pro, it is a good value considering the price and performance of lights currently offered at retail in the U.S. A 245 lumen light at that price point pretty much beats anything hands down you can buy at Walmart, Target, Home Depot, Lowes or Ace Hardware. To approach this level of performance at Gander Mountain, it would cost you $69.99 for a 235 lumen GSX multi-mode flashlight. And Maglite does have a warranty and parts are available at service centers, not to mention aftermarket parts offered by other vendors. When this light goes on sale at -$5 to -$10 below list during the holidays, it will be a great deal. I have always loved the classic design and feel of Maglite and it is nice to see them keep true to that legacy with the Pro models. At first glance, this is just another Mini Mag with more under the hood. I don't have an existing Mini Mag LED, but specs for outside dimension with the Pro+ are exactly the same. The light has a solid smooth feel, with light knurling of the body, great fit and finish and predictable easy operation. Just twist the head like always and it's on. All threads are annodized and very smooth, and with just a touch of grease added, smooth as butter. 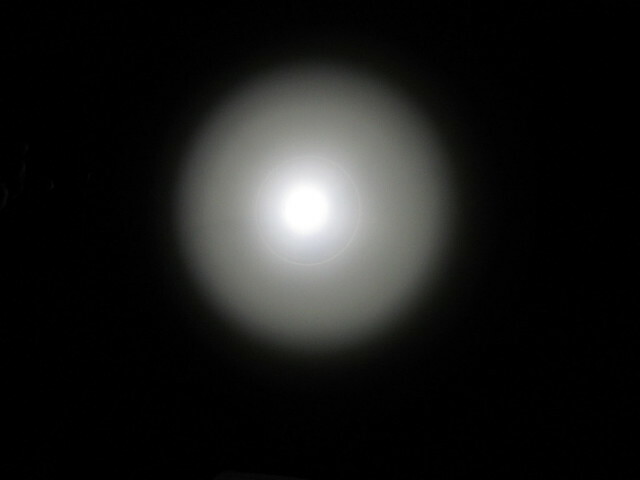 Inside, LED is well centered and there is minimal dust inside the lens/reflector. There was slight scraping of the tailcap spring on the battery, cured with a little filing. 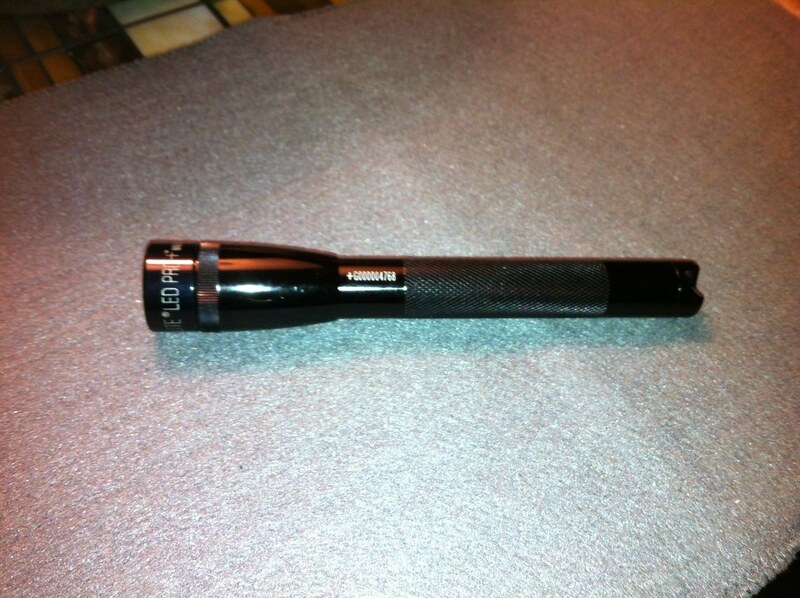 All in all the quality is what you expect with any Maglite. 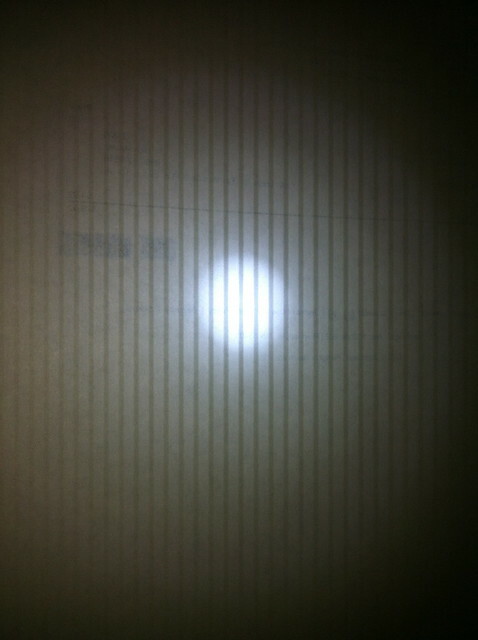 I am quite pleased with the light output. 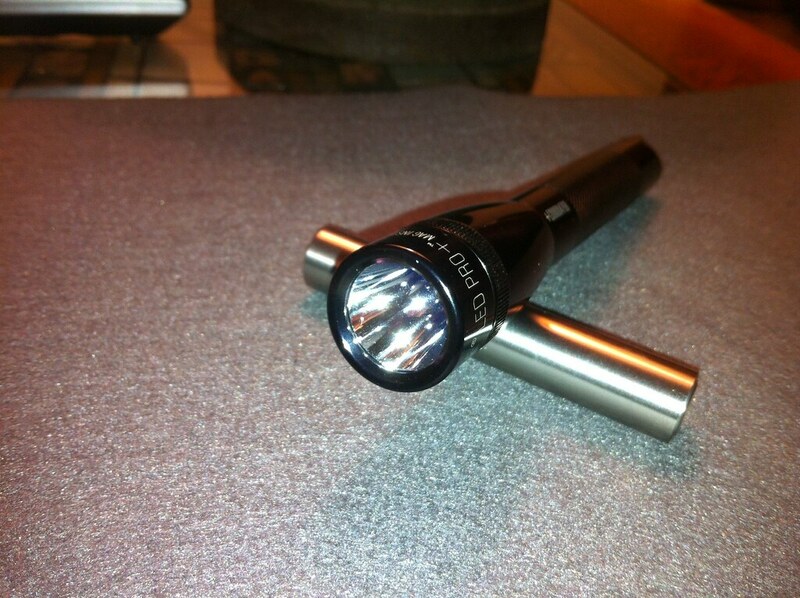 It provides plenty of lumens on high while while giving you a low option for maximum run time. Inside, the beam has a few rings, and the flood to throw adjustment twist is basically there to smooth it out, quite effectively I might add. 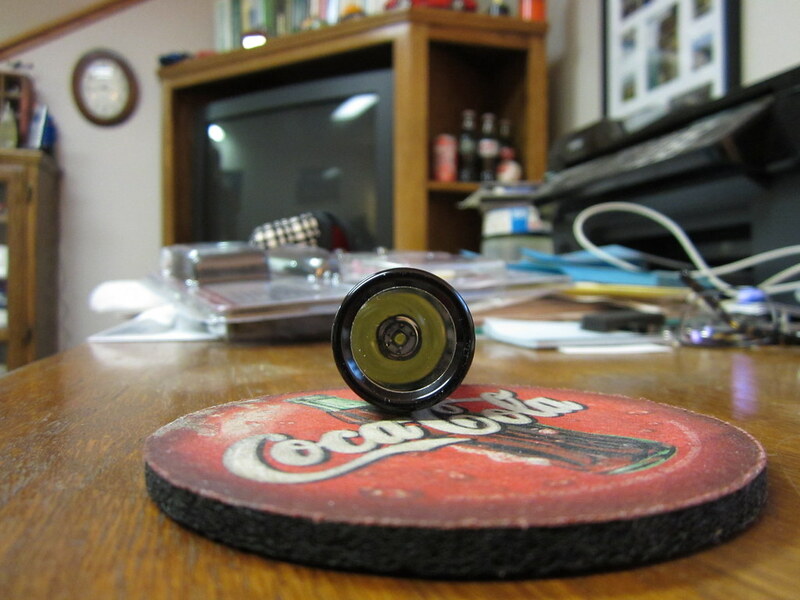 Outside, you won't notice any rings and it has a very bright hotspot with useable spill and it throws impressively. Tint is a very cool white, which I prefer and 245 lumens seems like an honest rating. 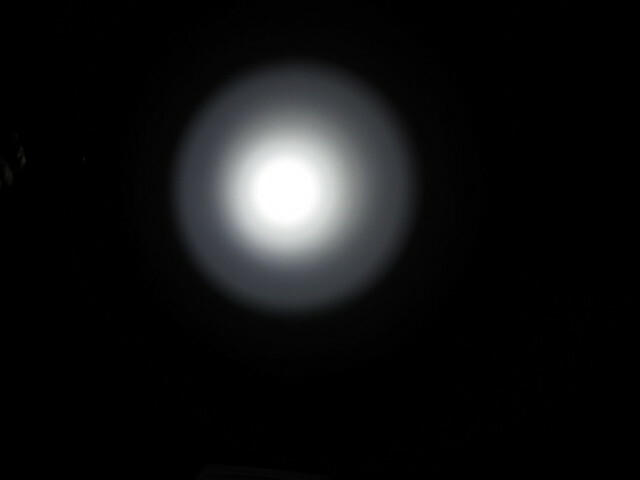 It is noticeably brighter than turbo mode on my Fenix L2D and on par or brighter than medium on my Balder BD-2 or N-Light ST50. That covers High, but something is different with this light: The Pro+ has a Low setting, accessed through a unique motion sensor. Just point the Pro+ head down (or up to 15 degrees off perpendicular), twist the head to turn it on and it lights up in a battery saving Low mode, estimated at 25% of High or around 60 lumens. Still a very usable level that will handle most tasks around the house and bright enough to walk by with the hot spot. The additional Low setting is the major distinction between the Pro+ and the regular Pro model. As noted above, PWM is used on low, but it's not an issue for me. According to some runtime tests over at CPF, Max lumens are only achieved for the first minute and the light drops to 80% at 5 minutes, 70% within 7 minutes using Primaries, Nimh or Lithium. From 10 minutes, there is a linear drop off in output up until shutoff, so the light is timer regulated using PWM, regardless of battery used. The light starts to get warm after about 5 minutes, so combined with the timed regulation, overheating should not be an issue. Not sure these make sense - very hard to get a consistent reading for some reason, as the volts keep jumping around. Perhaps it's not that noticeable, but there's more thread on the Pro+ cap than any of the others, and you can definitely feel it when you try to thread the other caps into the Pro+: None will 'catch' a thread until almost all the way down. They feel like they are literally hanging by a thread. As far as operation goes, the Incan and Nite Ize caps will both work with the Pro+. If the Nite Ize were of better quality, I might leave it on permanently to keep from having to twist the head, but it feels way too cheap and has no real 'click' feel to it. The IQ switch is nicer, unfortunately the Pro+ will not operate using it, even though it works just fine on the 3AA Mod light. 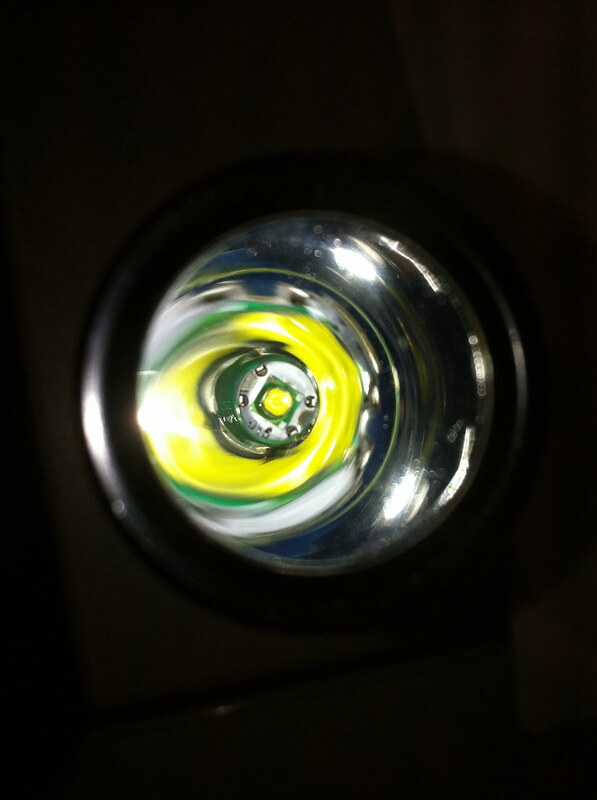 Over all I am very happy with this flashlight. 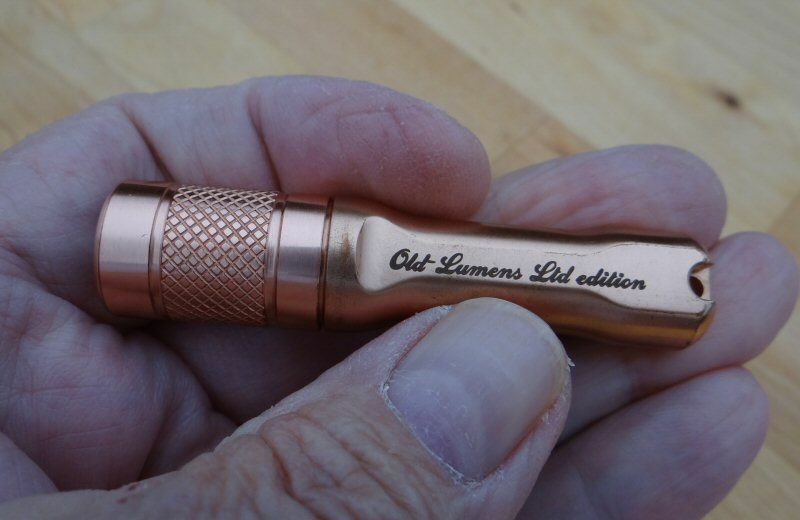 Like all Maglites, it fits great in the hand - not too big and not too small - and provides all the essential features I need in a general purpose light. You might think it needs a lower low, but I have plenty of other lights for that. There are a couple of things that could be improved, but I can't think of any real negatives that would impact user experience. Mag accomplished what they set out to do: Upgrade to more current technology, offer good runtime, operate on readily available AA primary batteries, keep the look and feel of the existing line and re-use as many parts as possible from the old line to keep costs in line. It is a welcome upgrade and one I am very happy to own. Thanks so much for the informative review! Frontpage'd and Sticky'd. If this will run on one 14500, someone with a lathe could make a pocket model out of it. Steve: someone with more electronics experience would have to answer that one. 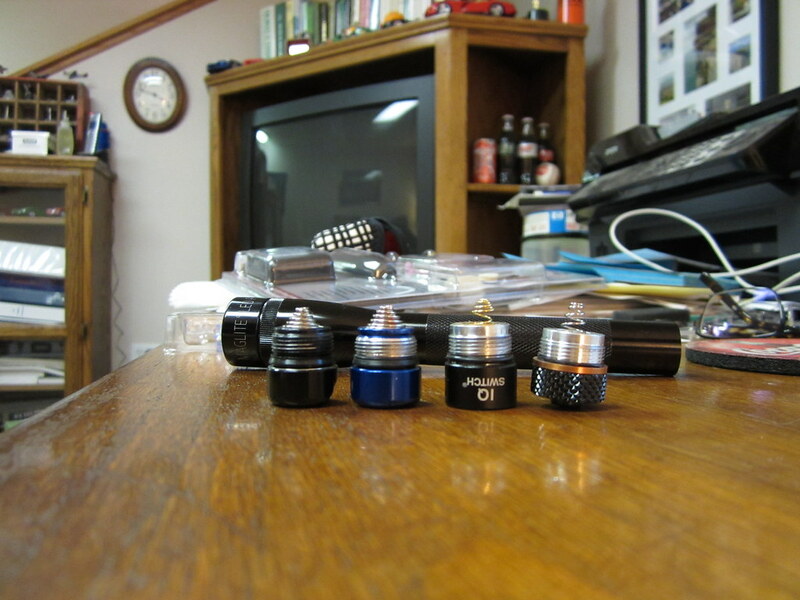 Awesome review and pics BetweenRides! That would be nice. I wonder what the minimum voltage is. Any chance it would run on 1xaa? Thanks for the review. I wasn't aware this even existed till I opened this thread. Much better beam than the old incans had. Thanks for the kind words. These do take a long time to write up, don't they? Old-Lumens: When you sent me the 3AA Mag Mod, I noticed there was a clear plastic holder with a few parts in it but didn't pay it much attention. A couple weeks ago I picked up the new IQ Switch at Harber Freight and started trying it out on my lights, I happen to look in the tool box and noticed the package again and was pleasantly surprised to find a Terra Lux reflector and LED upgrade. I ended up using the IQ on your mod, which gives me a High-Med-Low (Plus 2 useless disco modes), then using all the Terra Lux parts to upgrade the old blue Mini Mag in the review pictures - very nice!. 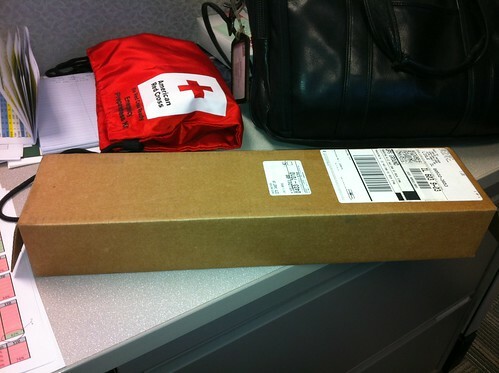 Feels like I got 2 flashlights for the price of one, thanks for sending. Nice job. What is the difference between the Pro and Pro+? 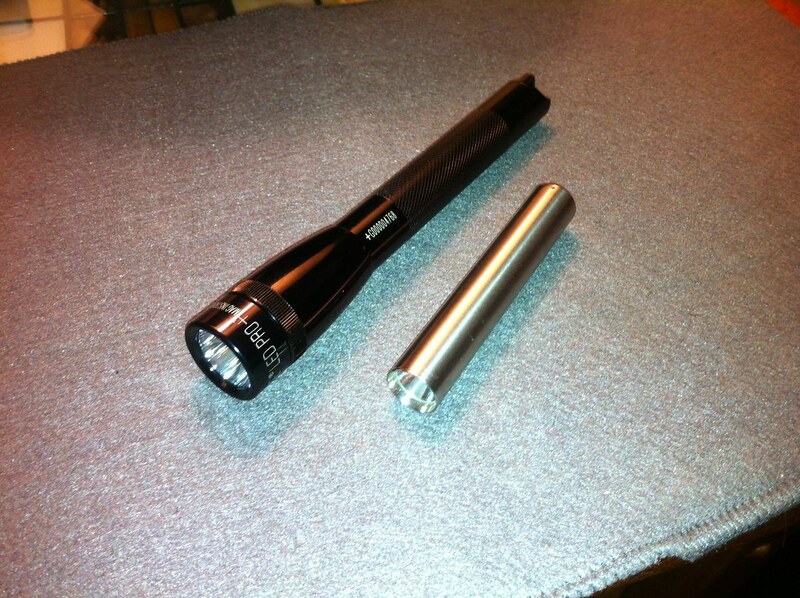 The Pro has slightly lower lumens output at 226, a bit longer run time (2:30) and only one mode like a normal Maglite vs 245 lumens, 2:15 run time and two modes for the Pro+. That's the first light from Maglite that raised my interest in a decade or so. This seems like a fantastic light. I mean, where else can you get 245 ANSI lumens out the front for 30 bucks with 2 AAs? 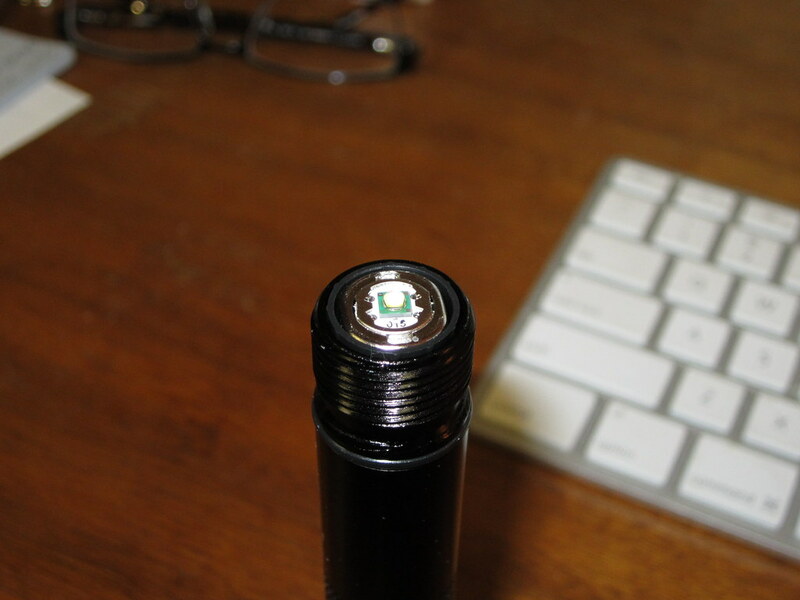 Maybe Romisen and some DealExtreme lights come close, but if you look at Jetbeam, NiteCore, Olight, 4Sevens, Fenix, they all have about the same light output, minus the adjustable beam, for 50+ bucks. 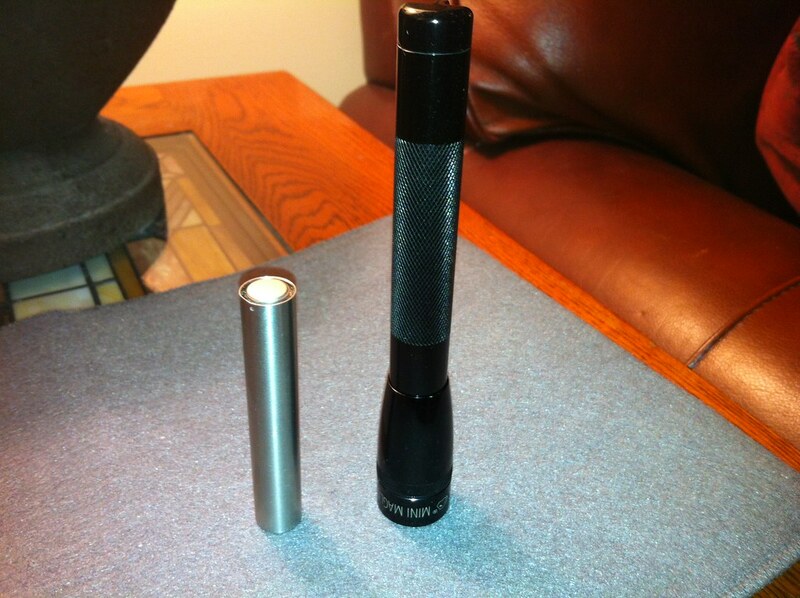 Sure they have more modes, but even so... the Maglite appears to be very competitive. I'd really like to see some beamshots/video of its flood to throw mode. Obviously not a real flood2throw, but at least you can mess with the beam profile a bit. Well, while I like that they brought out a new light, it is still a light with plastic reflector and lens, no current regulation, no clicky and the max output isn't available the whole runtime, so comparing the Mag with a Jetbeam BA20/Klarus P2A for example isn't exactly fair. 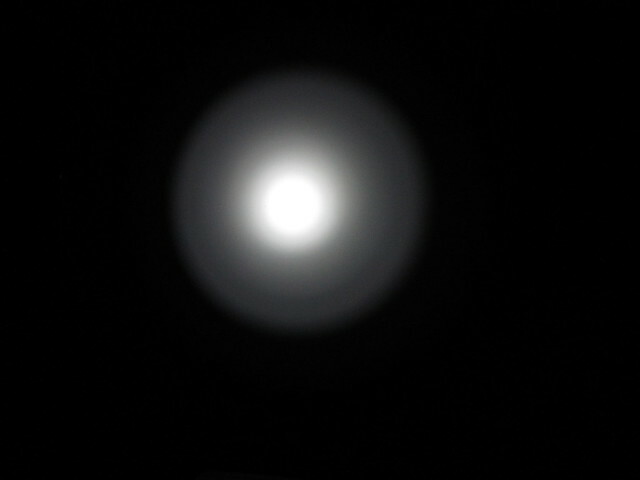 If this light hadn't the Maglite name and looks... I guess people would not so generously overlook these downsides. It is still a good price point for a Mag. It is more like a "factory modded Mag", than a brilliant new design. But I understand the sentimental attachment to the host body... even if I would probably not buy it. Nice writeup! Thanks for taking the time as this is one I'm sure a lot of people are interested in, including me. Having a light that will run off 2 AA batteries is great since AA batteries are always available and I'm glad to see this kind of output on a Minimag. Usually people measure amps at the tail instead of volts. How much difference is there in focus? Maybe you could post a picture of it zoomed in and out? 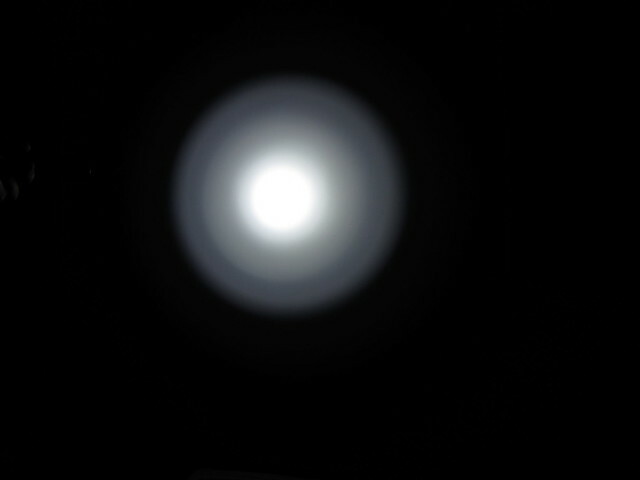 The "Low" mode is almost as bright as the previous generation Mini Maglite LED (some of which were multimode) and way, way brighter than the old incans. Nice review! I'm looking forward to picking up one or two of these when I can get them on sale. As an aside, having two modes is not a first for the LED Mini Maglites. 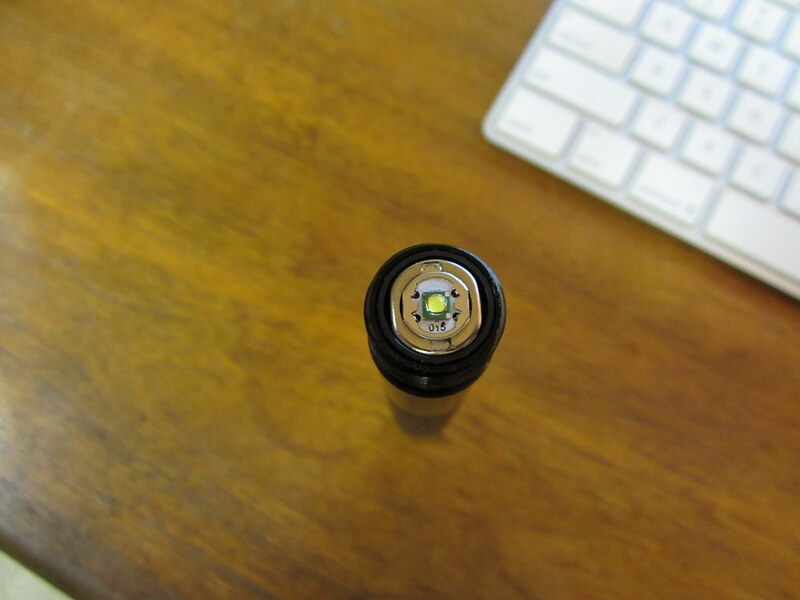 The previous generation of LED Minis actually had 4 modes: High (100%) > Low (25%) > Strobe > SOS. The modes are activated by a quick off and on. They were a huge improvement over the old incan models in output but they still only put out 69 lumens on High. Laughable now but at the time it was a major jump from 17 to 69 - a four-fold increase in output. Come to think of it with the old LED models the 25% low was the same as the high on the incans. On the new LED Pro models the low (25%) is the same as the high on the previous LED model. Hmmm... coincidence? LOL! It's possible that we won't see another improvement on these until they can safely produce one that runs at 1000 lumen so that 25% low is the same as the Pro output on high. I never had a Mini LED before this, so I was unaware that they offered multi-mode. Thanks for the correction - I will have to adjust my wording in the review to reflect that fact. And I'm sure I just wasn't thinking when I posted the tail cap measurement as volts, I will correct and when I get a chance measure with Primaries, nimh and Eneloops. Sorry, photography is not my strong suit (but I'm getting better). 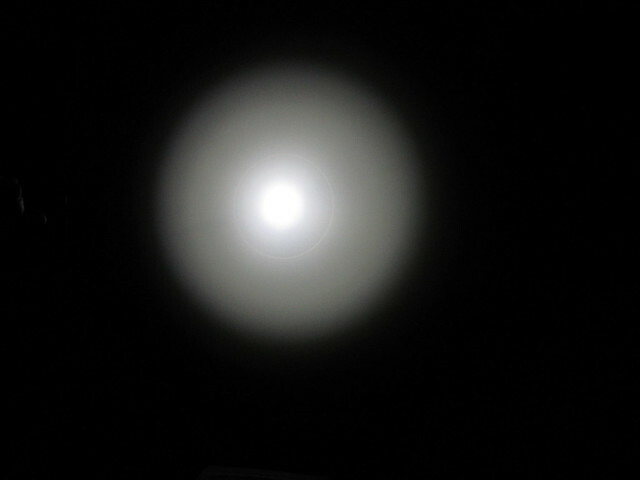 I'll work on posting some better beam shots to illustrate the focus/zoom and show with different battery types. I'll have to get my son to help, as he has actually had photography training. Maybe he can help me do some outdoor shots as well. If I can describe it better, the beam is a little ringy when first turned on, as you adjust out, it smooths out the rings and makes a smoother beam with a more gradual transition between the hot spot and flood. So the regulation isnt very good? No constant brightness? Chin*se lights have constant brightness regulation! Please remember that this light is designed to run on Alkaleaks. 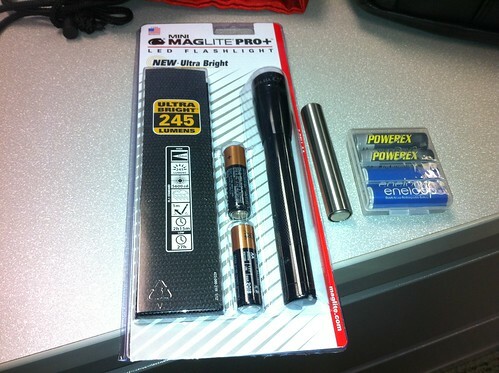 maybe maglite has some sort of contract with Duracell corp. just wondering why they would force to support Alkaleaks although Eneloops are already so popular. you cant recharge Duracells. so more duracells are sold. good for Duracell! 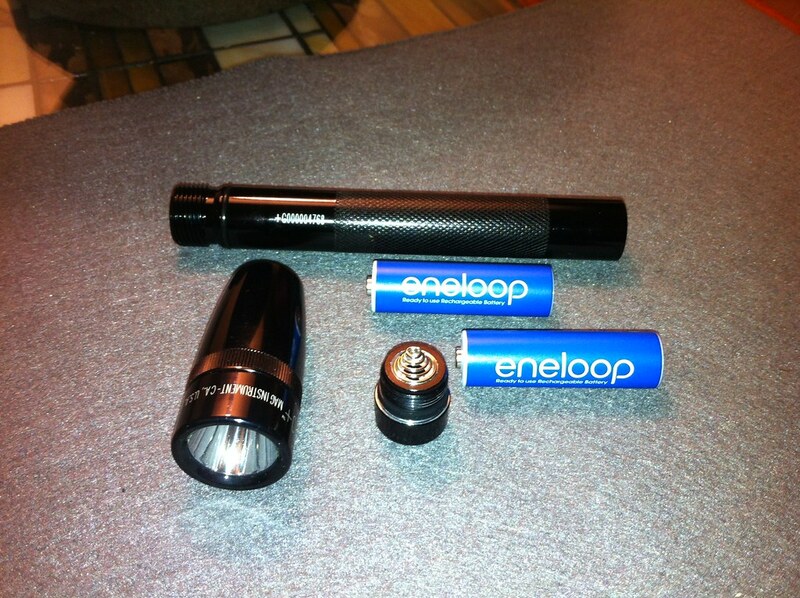 The average American doesn't know what an Eneloop is, but Copper Tops and bunny cells are everywhere. Sad but true. a buddy of mine just mentioned he had some junk rechargeable batteries with a stupid name. when i told him they were probably the best out there he seemed happy, but i'm not sure he believed me. he probably went to the store to get some duracells. The light is actually regulated. Just in a weird way in which it deliberately drops off in output to help keep the load on the batteries down. This may not be what most of us would choose, but does mean a quick off then on again will take it back to full output at any given time. Updated review to include additional Low/High mode shots with twist from turn on to fully extended. Hard to explain, brted, but it doesn't really focus like the old incan Mags, more like 'fine tuning'. 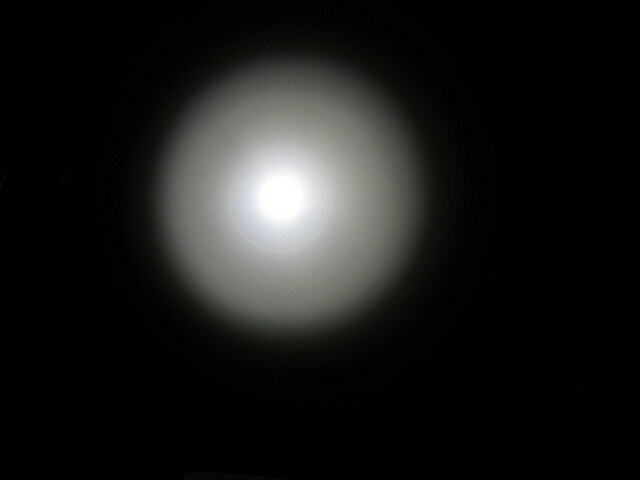 I also tried different shots with Duracells, nimh and Eneloops: absolutely no detectable difference in beam shots. Timed regulation seems to take care of that. Next up, outdoor beam shots when I can. Thanks for the new pics. Yeah, it doesn't look like that much of a difference. That's probably good because the old incan minimags had pretty ugly beams. All of these look pretty decent. I'm not sure if it's ok to do this, but here is a link to an excellent review done by CPF user Robin24k on both the Pro and Pro+. Actually, the review is more than just excellent - very professional.